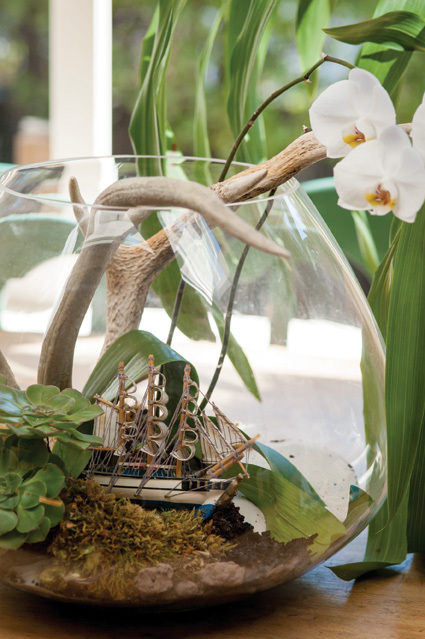 Terrariums, unusual planters, and pot plants in general, are making a huge comeback - forming the literal fringes of the current 1960s revival, but also a reversal of the longtime trend of indoor/outdoor flow. 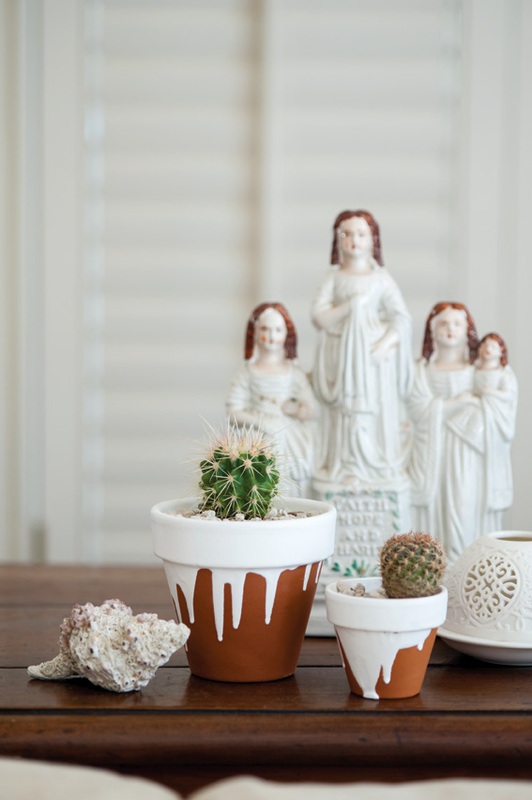 Auckland-based botanical stylist Annie Oxborough says getting started is as easy as tripping around junk shops and asking yourself, ‘will a plant survive in there?’ ‘There’ can be anything from an old teapot to a vintage fruit box. Or an interesting glass vessel like an upside-down light, to make a terrarium. If you’re an amateur gardener, the word ‘terrarium’ may fill you with terror. But Annie says they're not that hard to make. 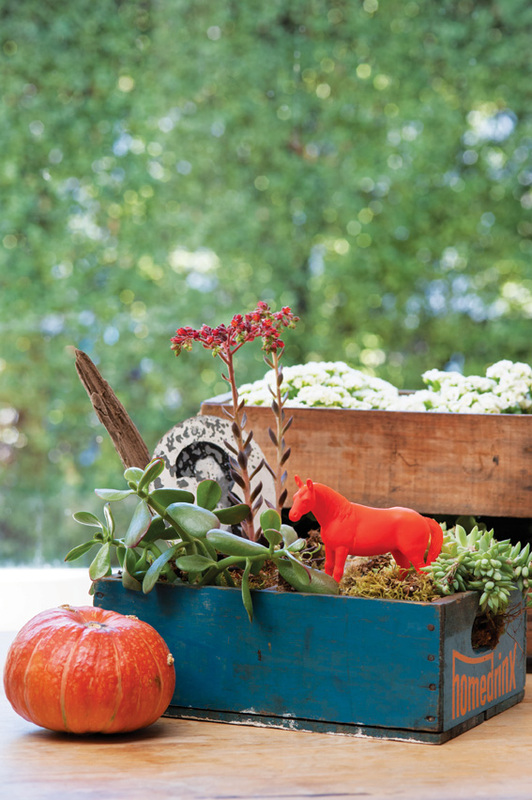 To see more from this feature pick up a copy of the June/July '13 issue of homestyle.